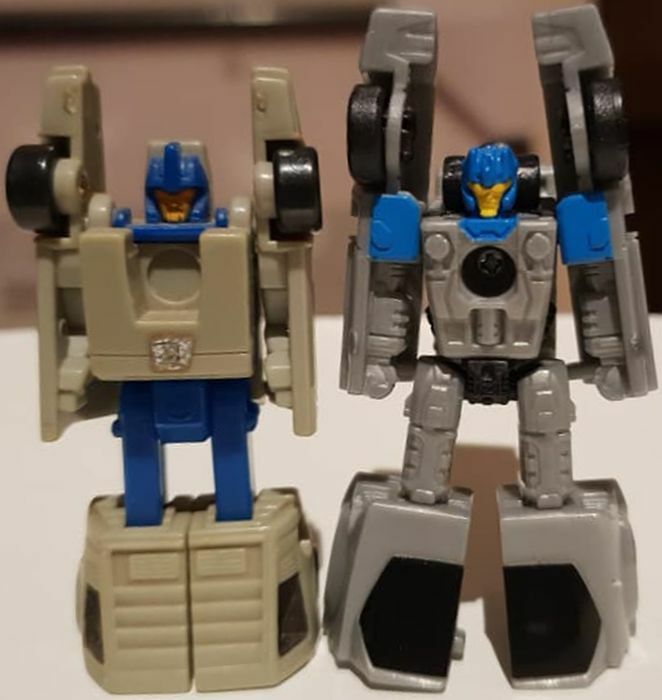 View Poll Results: Wave 1 Micromasters - worth getting? 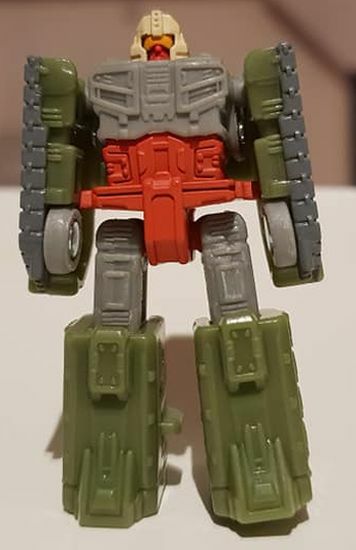 Flak is so unchanged from his G1 incarnation that I had to look twice to make sure it was a new figure. Topshot also represents his G1 heritage well. Visper has a nice amount of detail and looks quite good. 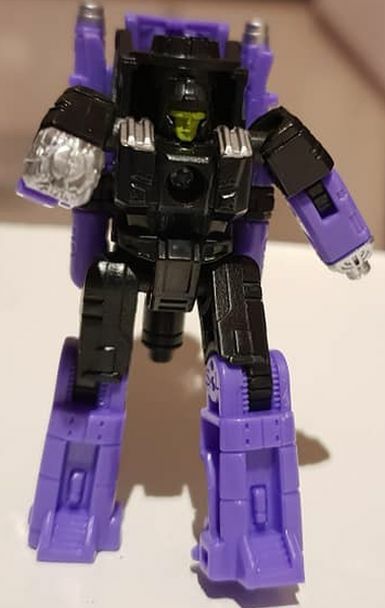 Storm Cloud is odd as in he is the only figure out of this entire wave of Micromasters that has elbows, yet at the same time he lacks hands. An odd trade off. 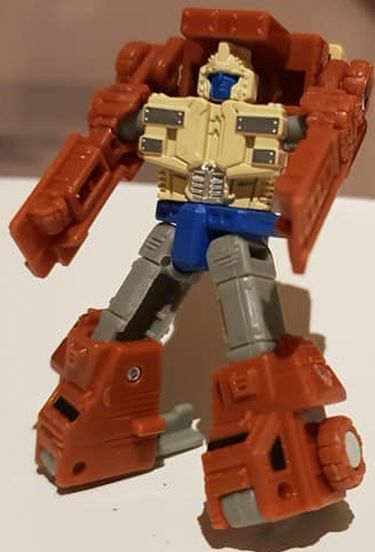 Swindler had shoulders that put Ultra Magnus to shame, and its hard with the lack of elbows to position his arms anywhere but down that doesn’t cause him to fall over. Roadhandler looks quite decent. Both suffer from having massive holes in their chests which are required for the weapon mode. Once again Flak looks very much like he did in G1, though with some cooler details on his missile ports. 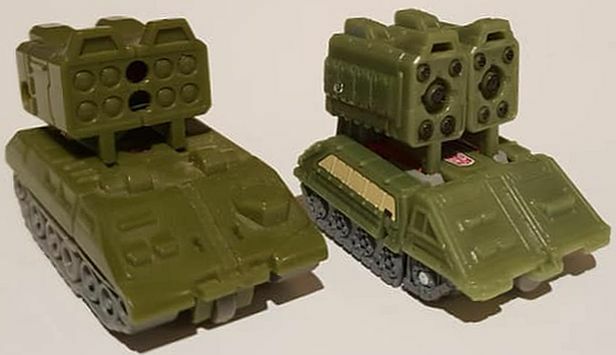 Topshot has lost a bit of length from his turret but this is made up for by being able to swivel the gun up and from side to side with a great degree of control than the G1 toy allowed. 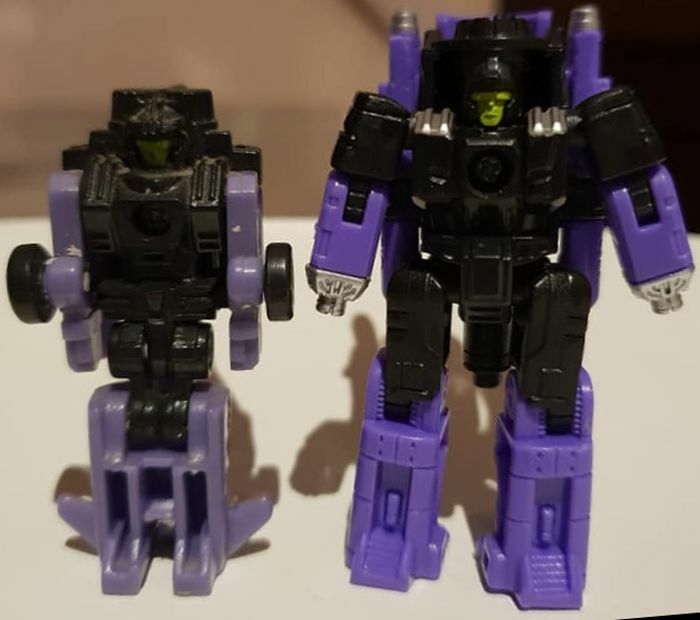 Both Visper and Storm Cloud are both very faithful to their G1 origins, while adding a bit of extra detail to their jet forms that one would expect after a 30 year hiatus. Swindler still resembles a Delorian, which is great for us of the generation that grew up on Back to the Future movies. Once again, Roadhandler looks decent as well. 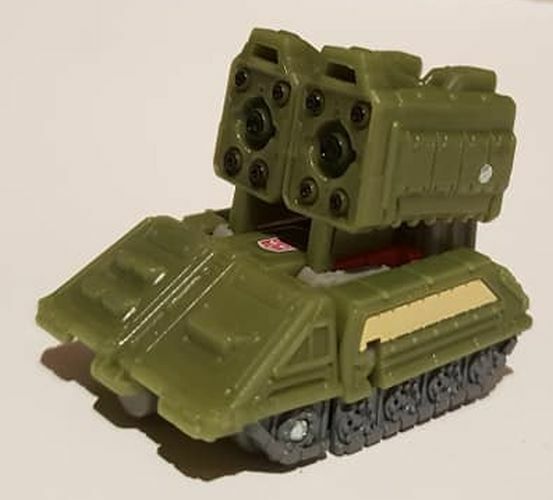 Topshot becomes the back half with his turret becoming the gun peg, with Flak making up the front to become an oversized missile gun. Looks a bit odd being held by a Deluxe Sized figure, but would suit a Voyager sized bot well. The Decepticons become a quite decent looking sword, nicely balanced and well proportioned. The Race Car Patrol weapon is pretty weak. 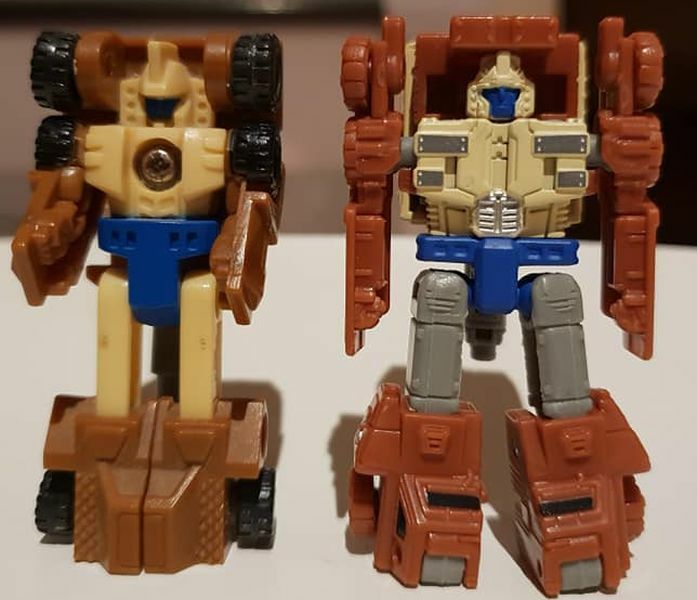 The only slightly redeeming feature is that they are the only pair that can swap spots, so either character can become the top or bottom half. You can chop and change between teams to a very limited extent. Yup! 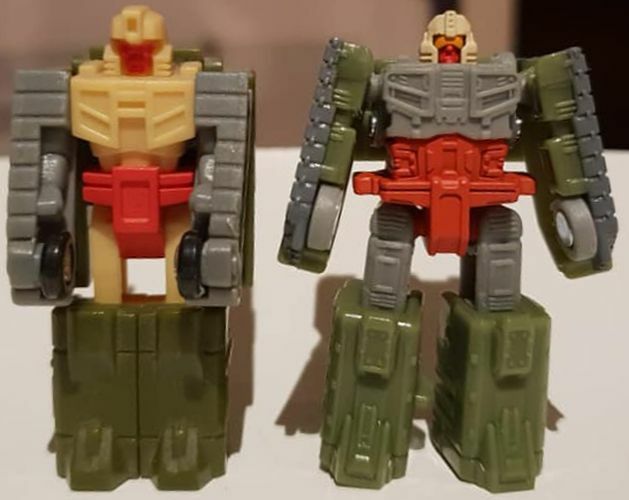 A cheap price point, an outing for G1 characters we haven’t seen in 30 years, very faithful to their origins and now with combined weapon modes. There are a few drawbacks sure: little articulation and the legs come off really easily on all figures. However these are small quibbles. I heartily recommend picking these guys up. I haven't picked up the -ndlers yet, but the other four are so good. Especially Storm Cloud and his elbows. Poor topshot, looks like he really got shafted. Top Shot is by far the bottom shot of this lot. 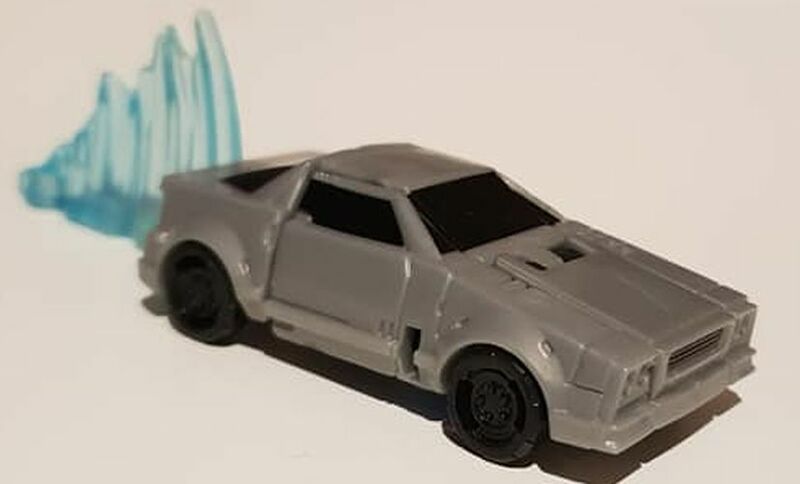 I find it bizarre that the heel spur/roof panels are grey for no apparent reason and makes them stick out like sore thumbs in the vehicle mode. I also don't know why the wheels aren't black. 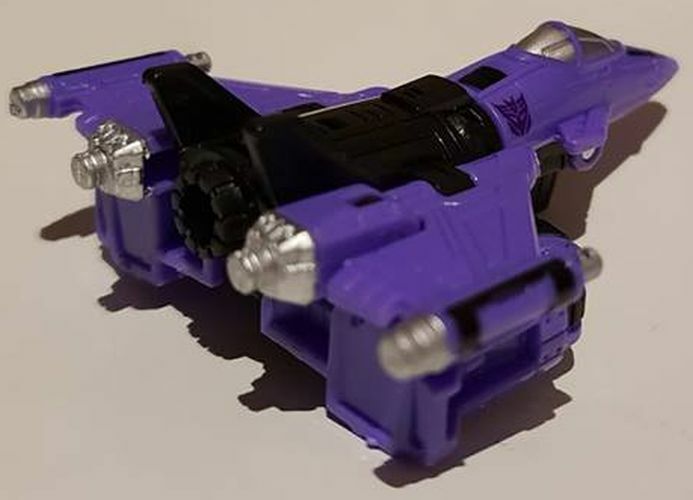 And if Top Shot is gang moulded with parts for Flak (instead of being all done as a whole assortment lot), then at least make the wheels grey like Flak's. But really, these toys are pretty expensive for what they are (I'm talking about standard RRP, not the more expensive indie prices I paid). $20 is about the same as the price for a G1 Micromaster Patrol adjusted for inflation, only that the G1 sets gave us four Micromasters, not two. 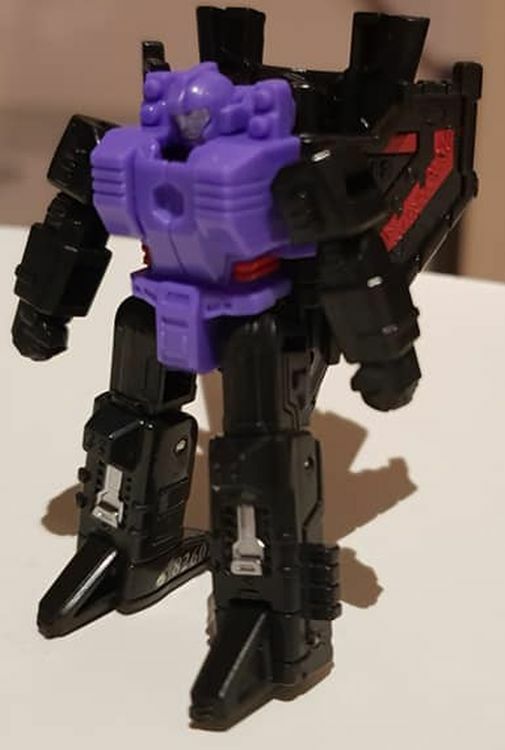 So given that they've cut the number of Micromasters down by half, and even given the additional cost of superior articulation, surely they can chuck in a few things like black wheels. And moulding the roof panels in the same brown would've come at no extra cost since they're already using that plastic. That design choice really seems weird. Big Shot is as Gok says, the weakest of this first wave. But while they’re not cheap I’m overall happy with these guys. As a fan of Micromasters since 1989, I’m aware the G1 versions are now that old the plastics can be brittle. Having a poseable Roadhandler (And others) with new plastic is worth it for me. Whether these represent good value for a kid with no memory of the G1 toys? Yeah I’m not so sure. Good little toys but expensive. Really? 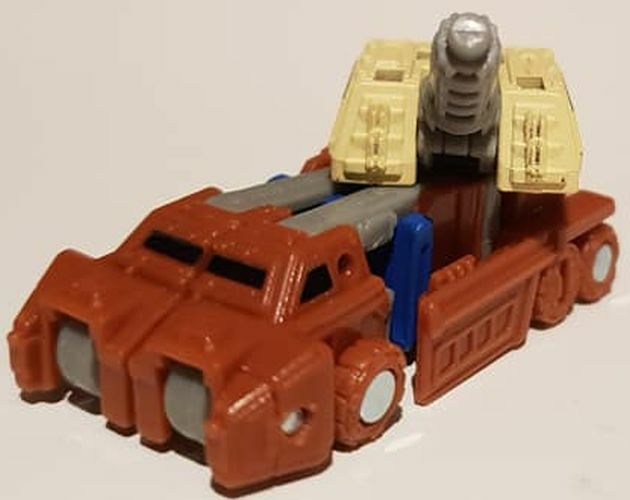 I find Roadhandler the weakest of the wave. 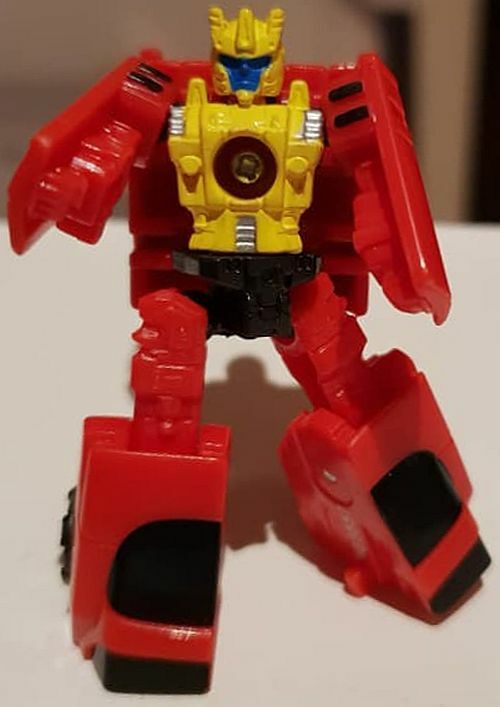 He is a very generic sportscar with no little details to break up the red such as perhaps some silver or yellow on the headlights, and his robot mode has a huge hole in the chest. Also I think his and Swindlers combined weapon mode is far weaker than the other two groups. I do agree that Topshot would have benefitted from a bigger cannon and black wheels. But at least you can rotate the turret on both axis, giving him some good play value, far more than a red & black car. Yeah, I think the two cars are just kind of boring, but I absolutely love the other four - especially Top Shot and Flak. 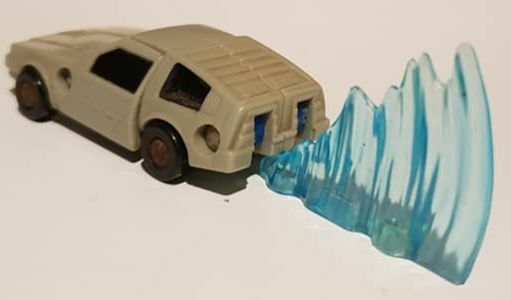 The combined mode is non existant for the cars. I like the little Delorean dude.